Congratulations to each of our League Champions! 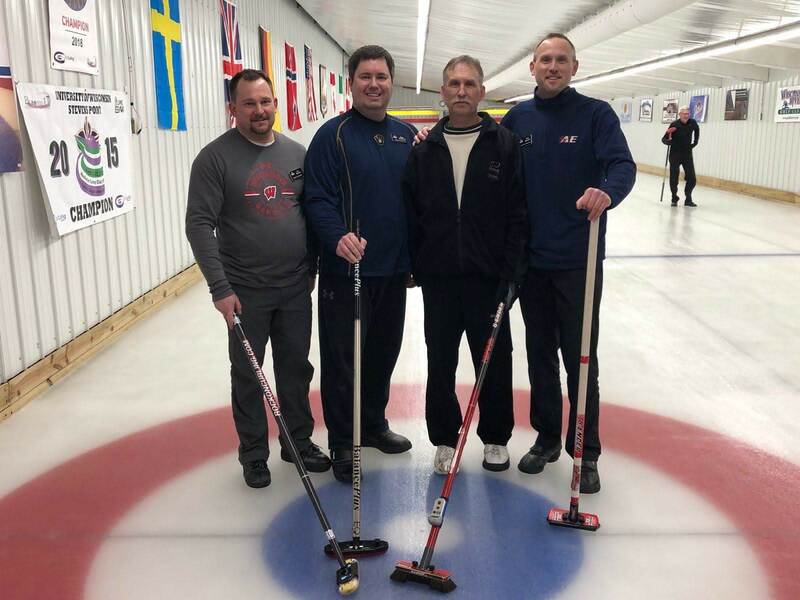 Congratulations to the Johnson rink for winning the Stevens Point Mens bonspiel this weekend! Congratulations to the Paterson (Winners - Seated) and Borelli (Runners-Up - Standing) rinks. Both made the First Event Final at the Marshfield Mens bonspiel this weekend! Registration is currently open for returning members. Once logged into the website, registration can be found at Members > Renew Membership. Registration for new members will open on October 1st. Friday Night is a new OPEN league! This is a 6 end league with one shift unless demand necessitates otherwise. Contact Bob K with any questions. Returning teams will have their spots reserved until October 15th. After that, those spots may be given to new teams. If your team isn't returning, please let the League Manager know ASAP. If you are registering for a league other than High School and need a team, please email the League Manager after registering so they know you are available to fill an open spot on a team. If you need to edit your league registration after it has been completed select Renew Membership from the menu. Please be in communication with the League Manager if you are doing this closer to the start of the league. You will not receive an email confirmation from the website after you finish. Skips - Please contact the League Manager to ensure your team is all set up for that league or if your team has an opening so it can be filled, etc. You still need to complete your registration. Ice is currently scheduled to be ready by October 23rd. This is reflected in the club calendar. This date may change so be aware. Leagues are set to start on Monday November 5th. The time between the ice being ready and the start of the league season will be used for Open Houses, league practice, etc. Leagues are scheduled to go through the last week of March. If you have a locker please take the time to ensure you locker number is in the website via the Members > My Profile > Other tab. After an initial attempt to provide locker tags last year we will be doing it this year. One tag will be supplied to those that want one. I will verify with those I worked with last year, but feel free to email me to confirm. I do plan to send a comfirmation email before ordering.